New Year’s Eve is my favorite holiday next to Halloween, and I will be adding a lot of New Year’s celebrations on my bucket list. I’ve been wanting to publish the Full Moon party for quite some time now, but haven’t found a good website to link it to. Luckily, I happened upon a post in Alex in Wanderland and turns out that this party is better than I imagined! Black lights and body paint, lanterns, fire dancers (my Burning Man senses are tingling! ), the list goes on! “Koh Phangan is a very special place, there are few places in this world where you can live out your desert island dreams of palm trees and white sand beaches, and still have a blinding night out at a rocking party every month. With the global notoriety that the Full Moon Party has gained as being one of the biggest and best beach bashes in the world, we get more than our fair share of hedonists gracing our shores. Each year the scene here grows with the ever-increasing number of party faithful that return, bringing their mates and spreading the vibe. Need help planning? 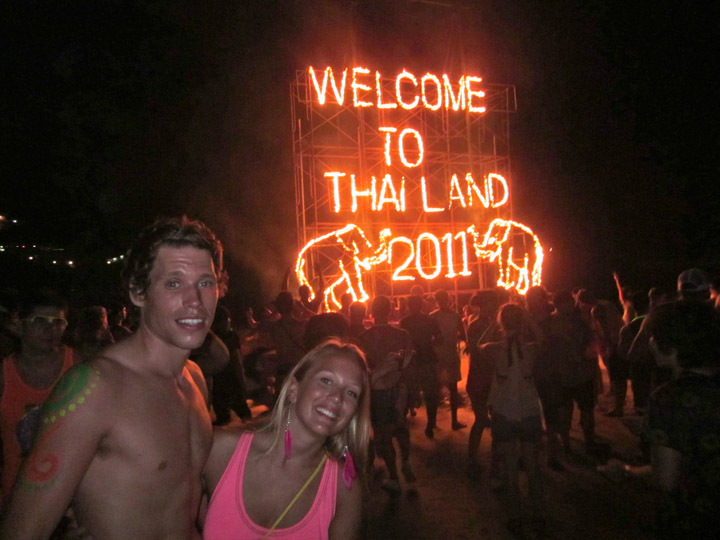 Read The Ultimate Guide to the Full Moon Party. You are in reality a excellent webmaster. The website loading pace is amazing. It seems that you’re doing any distinctive trick. In addition, The contents are masterpiece. you have performed a great process in this topic!